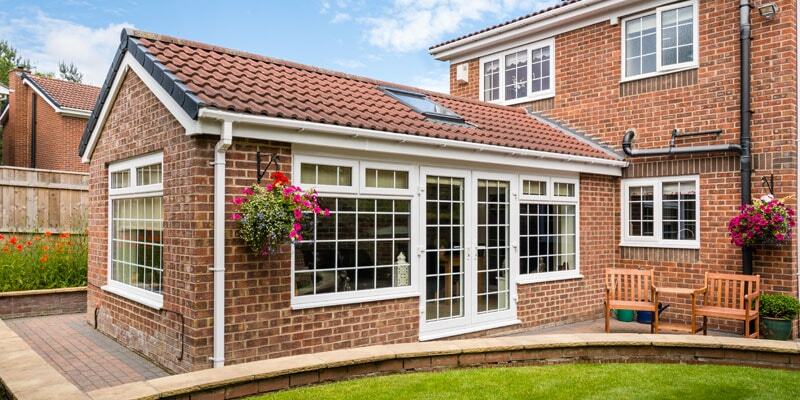 We’ve been fortunate enough to install multiple conservatories and double-glazing for homes for more than 10 years now and we’ve noticed that at some point, every homeowner will want to add something to their property. Many people consider extensions or conversions to help add value, however, there are other ways to increase the size of your home and value. We’ve found that the introduction of an external annex has become really popular. During this article, we’re going to look into each service that you’re going to need if you plan to install a new annex. For those of you that don’t know, an annex is an additional building or space that is joined to the main building. For homeowners, an annex is usually added to the rear of the property or onto an adjoining garage. An annex has a couple of useful purposes. Most people construct an annex for additional space or accommodation, which adds the most value to a property. Of course, there are a few more, but in our opinion, these are the absolute must haves. The main structure for an annex is usually constructed with wooden beams and fittings. In this case, you’ll need the services of a local carpenter. They’ll help you to create the beams and foundations needed to erect your new space. Of course, you’ll also need to contact and sign an agreement with a local builder too. However, if you’re qualified and able, there is no reason why you can’t build your own annex. Any new build, whether it is an annex or house needs a central heating system. Make sure that you get a few quotations from local companies so that you can get an average cost and range of potential installers. Your new central heating system should come with a boiler, heating controls, radiators and ongoing support as an absolute minimum. Natural sunlight is good for everyone and there is no better way to get some of it than with a double-glazing installation. The additional glass panels help block out sound pollution and provide extra security, as they are considerably harder to break into. Double-glazing frames come in a variety of shapes and styles so there will always be a material and design that is perfect for your new annex. What annex is complete without new furniture and lighting? Well for a start you should probably be prioritising your lighting installations with a local electrician. As well as light fittings, you’ll need power sockets, television points and general wiring testing before it can be used. Your chosen electrician will be able to help you choose and install a series of bulbs and lampshades, perfect for creating an additional bedroom. Now to the exciting part . . . Try to find furniture that really expresses your personality. If you’re quite sleek and up to date with fashion trends, then something modern and sophisticated could be perfect. However, if you’re known as a bit of a bargain hunter and prefer items with a little personality, consider upcycling furniture suppliers. These guys take older pieces of furniture, refurbish them and transform them into vintage pieces for any home. Previous PostWindow And Conservatory Cleaning TipsNext PostWhy Have A Tiled Conservatory Roof?